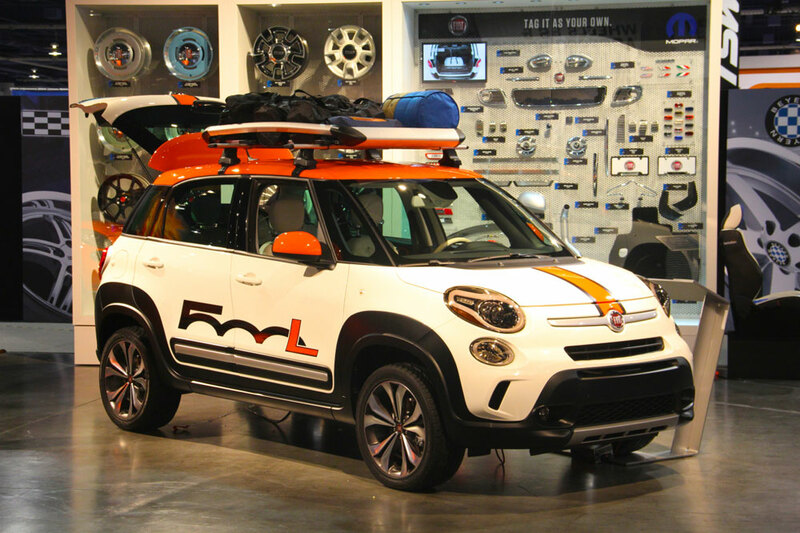 With the 2013 SEMA show packed up and in the books, we take one last look at a few of the notable products we found. The consensus seemed to suggest this year’s show may have lacked the multitudes of cool products found in years past. It did appear a bit thin on interesting products, but that only forced us to look between the high profile displays to find the little stuff which often gets overlooked. 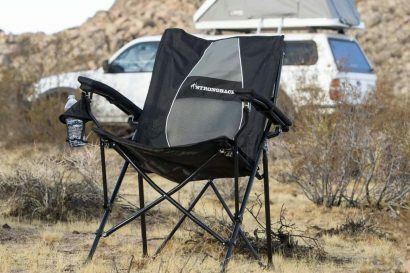 One of the coolest products we found retails for a whopping $25 and can fit in your front pocket. RightPSI manufactures valve caps which indicate tire pressure at a glance. If the cap appears black, the pressure is at the target range. Yellow indicates over inflation, and as soon as the pressure drops below 25% of target pressure, the cap turns orange. Simple solutions are great, aren’t they? They’re even made in the USA. 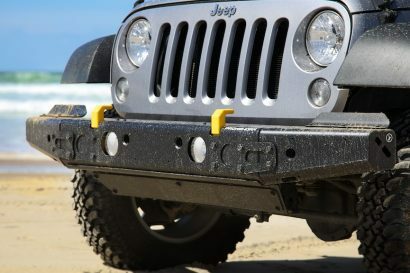 TJM is a well known name in the overland segment, and their newest JK bumper was getting a lot of attention. 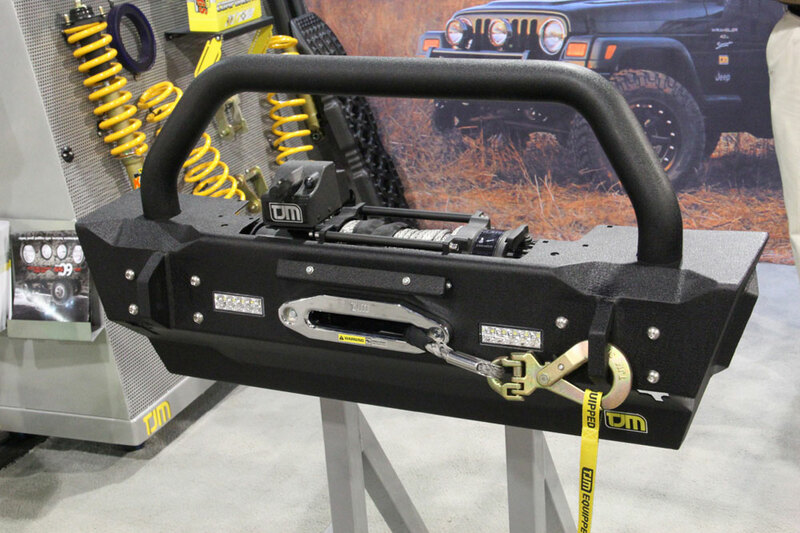 Of the dozens of JK bumpers to found at the show, this was one of the more interesting versions. 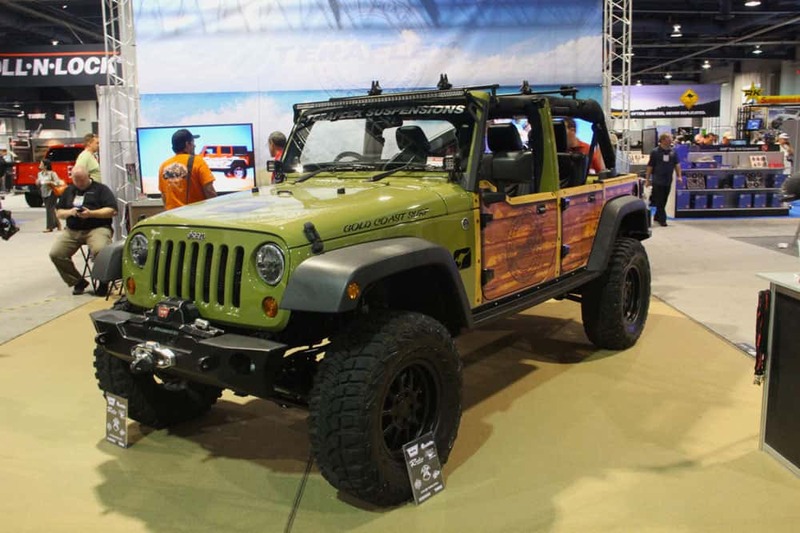 TeraFlex not only brought a really sharp looking JK to the show, they had on hand a few of their latest innovations. 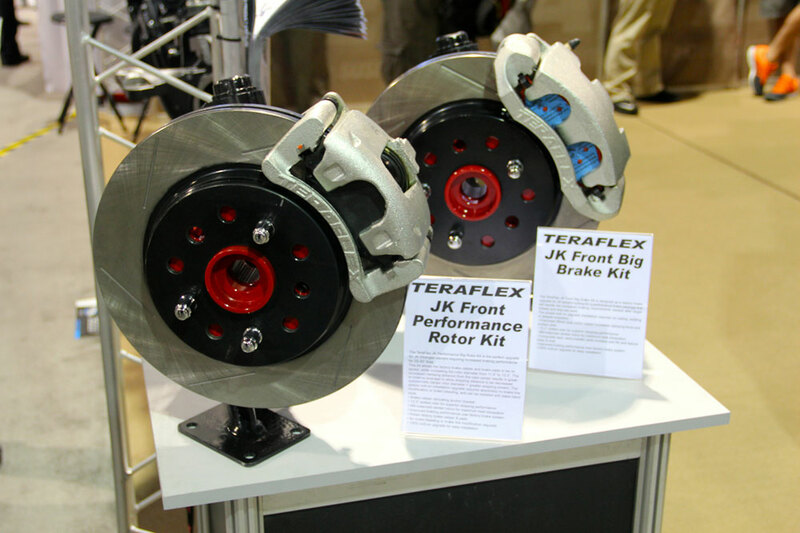 In an effort to expand on the popularity of the TeraFlex Big Brake Kit, they now offer a more affordable option, the Performance Rotor Kit. Using the factory caliper, the Performance Rotor Kit includes TeraFlex rotors, pads, and caliper adapters. At almost half the price of the Big Brake Kit, it should be a popular solution for those wishing to improve the braking performance of the JK. This product still has me scratching my head. 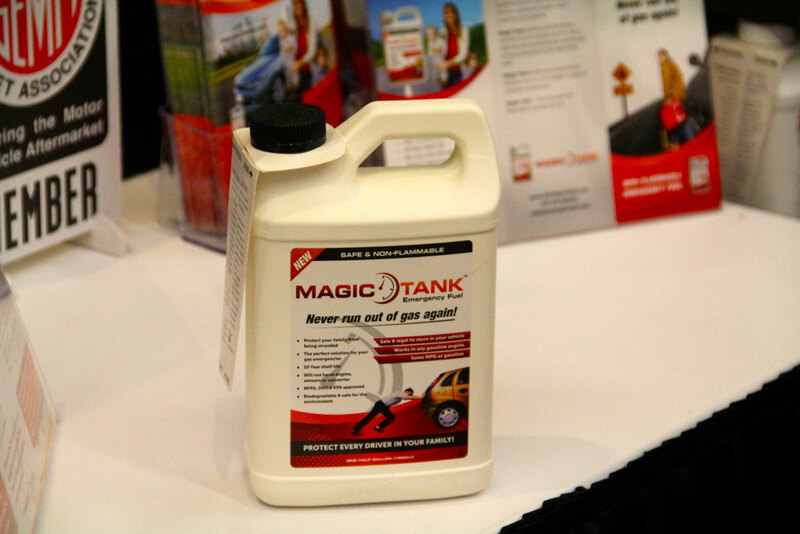 Magic Tank is an emergency fuel designed to be a safe and legal alternative to storing an extra supply of gasoline in your rig. It works by displacing the residual gas that’s still in the bottom of the gas tank, pushing that gas up towards the engine. It is still a flammable liquid and will power your engine on its own, but in contains no volatile butanes, pentanes, or hexanes which means it requires a much higher temperature than gasoline to fully ignite. 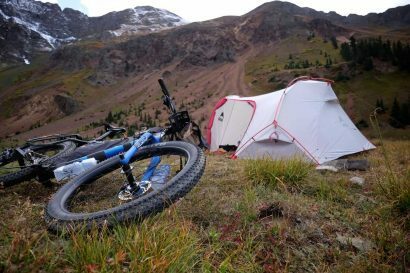 This next product has been featured before on ExPo and it seems to be getting continued traction in the marketplace. 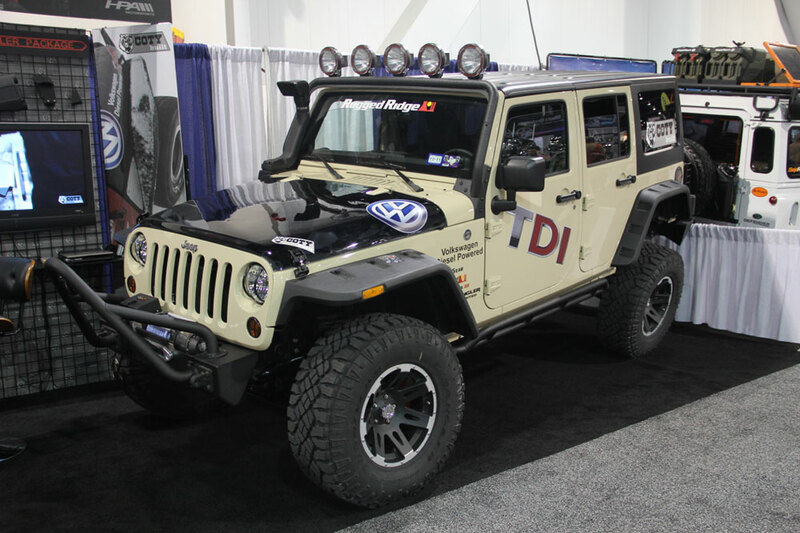 Coty Built, a division of HPA Motorsports, produces a VW TDI engine conversion for the Jeep JK. It was a little tough getting them to commit to a mpg digit, but it sounds as if a common number might hover around the 32 mpg range for a two-door JK. With only 165 hp on tap, it sounds awfully sluggish. 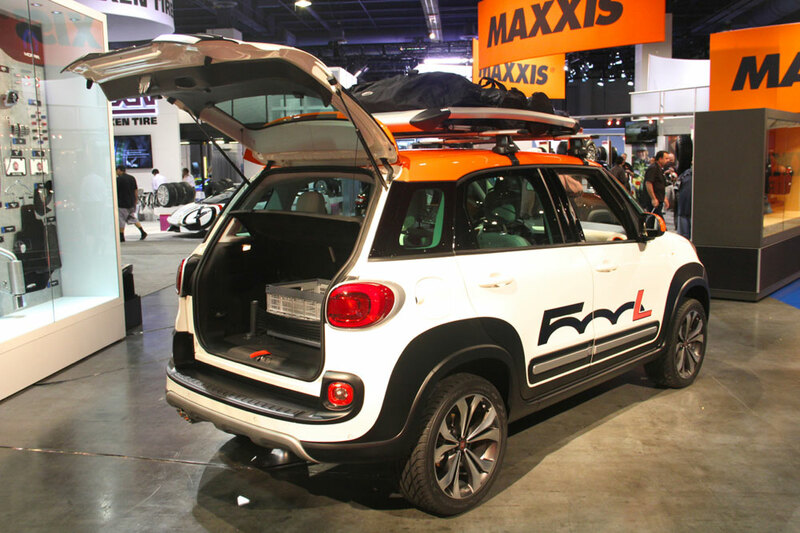 One of the more interesting things at the show was this Fiat 500L in the Chrysler pavilion. Chrysler clearly has a vision, and that vision includes not just vehicles, but the lifestyles they support. While other companies are trying to just cram more widgets into the same vehicles, Chrysler is trying to lure in consumers with the promise of fun and excitement, even if it’s achieved outside the confines of the cars they sell. At first I felt that concept was far too abstract, but with the release of each subsequent vehicle, I see what they’re after and think it’s brilliant.